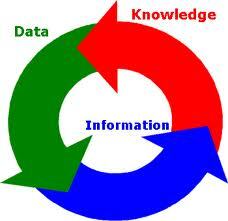 The words data, information, and knowledge are often used interchangeably. In fact, they are similar concepts, but with some key differences. Understanding the similarities, differences, and relationship between these concepts will highlight the unique role each plays in processing information and ultimately shed light on the value they provide. Compare and contrast data, information, and knowledge. Describe the relationship between knowledge and power. So, at this sequel article we are just gonna focus on the differences between data, information and knowledge. Data, at this case, is in the lowest level, the information is in the middle level, and the knowledge is on the top-level of those three things. Data, can be defined as the raw of facts. Data can be a group of symbols, numbers, or writing. Data doesn’t really have a meaning at all on its own, it can be just description of the facts around, data is usually used as the input of the system. Then what is the information? When the data has been processed, data become information. 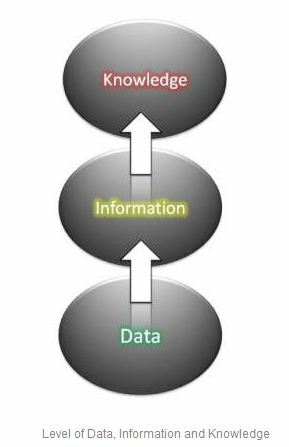 yes, the information is the result of data processing, information is basically a framework of data which have a useful meaning for someone who read it. “Data is a set of Representation of plain facts”. This knowledge is personalized information and it can be gathered through experience or study. Knowledge can be viewed in different perspective.